THE NATIONAL CHAPTER OF THE UNITED FAMILY RIGHTS CHAPTER AND UNITED FAMILY RIGHTS PARTY BEGINNING. The Gateway_TheNational Chapter of The United Family Rights Association was started on May 8, 2007 and is continuing to grow. We have 67 members from all across the United States. Our members come from different backgrounds, religions, races, and soical status. We don't discriminate against anyone. We are proud of our continual growth. The National Chapter of The United Family Rights Party was started on July 26, 2007 and we have a continual growth of 36 people and we pray that all new members will join our Party Political Platform so that in the next election due in 2012 we will have a good strong candidate that has a good reputation that will carry our message loud and clear to the families that have been and has been shredded by Child Protection Services that the government needs to stop paying the adopters, foster care givers, and state when they have a child in the system. Our voice will cry " Let the true and natural parent keep their families together rather than shred them and promote foster and adoption for our children. 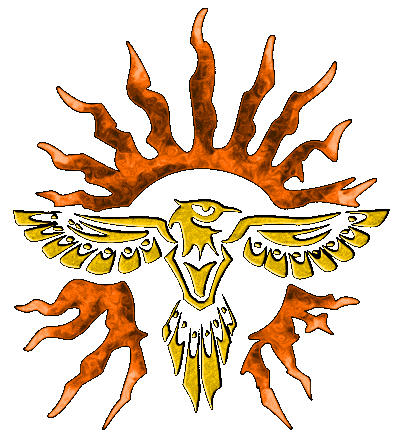 We will rise up like the Phoenix Bird and cry out, " Let Our Children Go!" The National Chapter of The United Family Rights Association and United Family Rights Party consists of four family rights paralegals, family rights advocates being trained by The National Chapter of The United Family Rights Association/Family Rights Advocacy 100 program. We have family rights advocates in: Illinois, Missouri, Michigan, Colorado, Montana, Georgia, Alabama, and California. The National Director lives in Chicago, Illinois, along with The National Co_Director and State Coordinator of Southern Illinois, Linda Weston and The National Co_Director, Robert Littlejohn in Chicago IL. We have a freedom rights advocate in Ohio, A family rights advocate and paralegal in Ohio, the same one for freedom rights, we have a paralegal in Texas and a paralegal in Massachusetts. The National Chapter oF The United Family RIghts Association and The National Chapter of The United Family Rights Party is dedicated in helping families across the United States fight against Child Protection Services and that stop of shredding the "true and natural" family. The one created by God and Nature. We are Pro-Life, We Are Pro-True and Natural Family, We are anti-adoption, we stand up for all those that have been truly falsely accused, parents with disabilities, ecomonically disadvantage families, birth-mothers, birth-fathers, birth-families and we are against termination of parental rights unless it is proven by reasonable doubt and moral certainty. We stand for what is in the Best Interest of The Family and that is what is in the Best Interest of The Child is to keep that child within their homes with their own true and natural parents unless abuse and neglect can be proven by hard evidence. The National Chapter of The United Family Rights Association and Party stands for the parents to have complete care, custody, and control over their children when it comes too education, religious practices, discipline according to scriptural standards, and the raising of their children without interference from CPS. The National Chapter of The UFRA and UFR Party is Anti-Gay, Anti-Abortion, and Anti-Adoption. All are counter-productive and very destructive towards the "true and natural" family. The National Chapter rigidly upholds that all children in states that allow home-schooling with no regulations attached to home school your children. The National Chapter of The United Family Rights Association and The National Chapter of The United Family RIghts Party was started because the two of so-call "Family Rights" Associations place restrictions on their members. They are not allow to use their religious or political convictions without fear of being banned. We don't discriminate and we are open to all families that have been targeted or unfairly persecuted by CPS. We guarantee your constiutional rights to your freedom of religion, political convictions, and speech. We don't want to bann anyone but sometimes it is necessary. We don't censor because we don't believe in it. Welcome To The United Family Rights Association and United Family Rights Party.